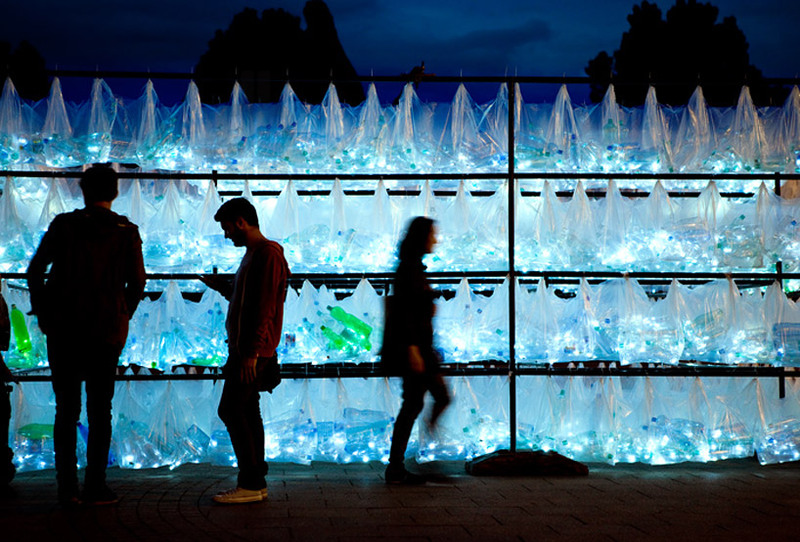 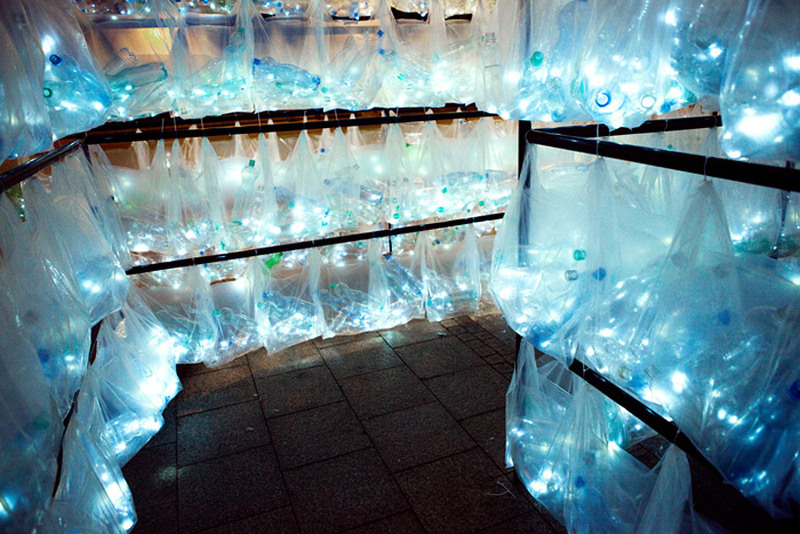 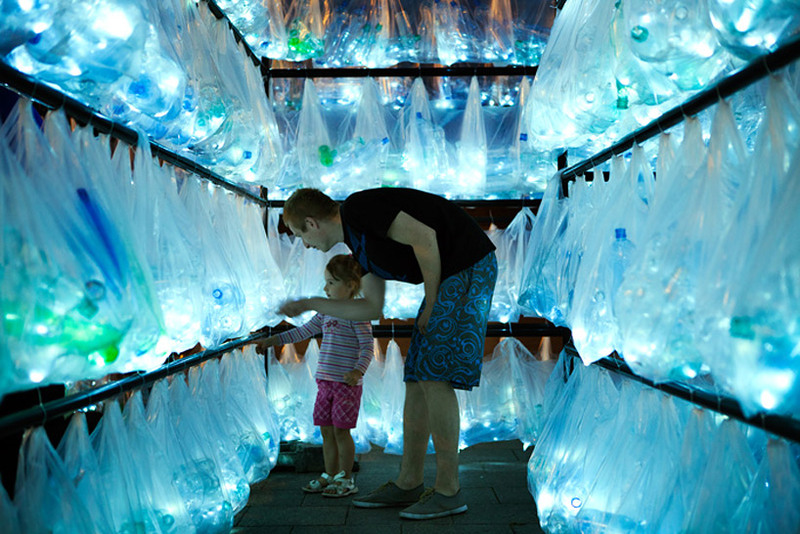 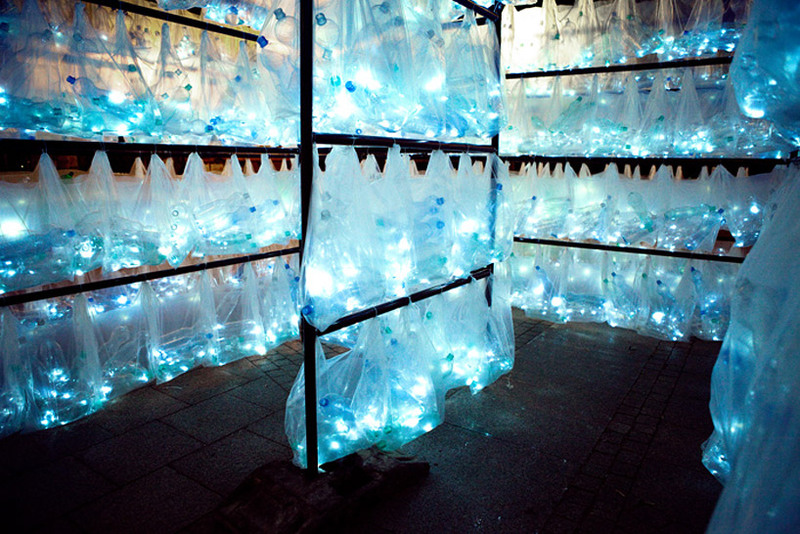 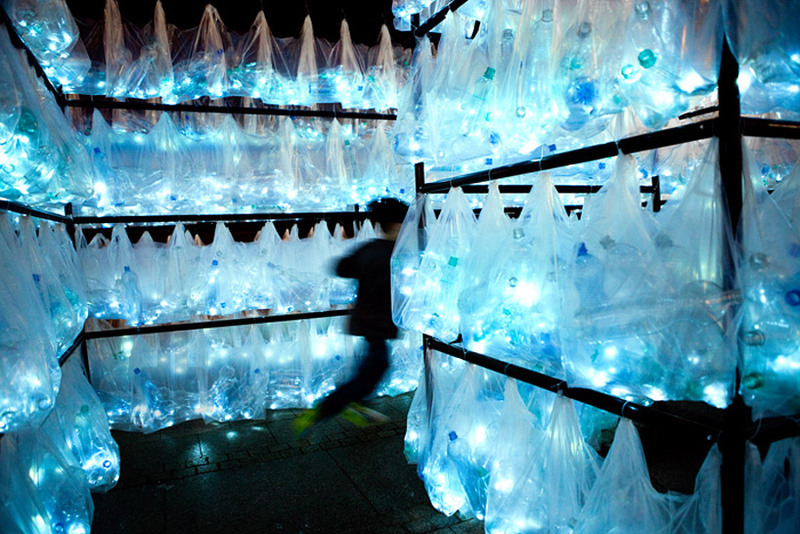 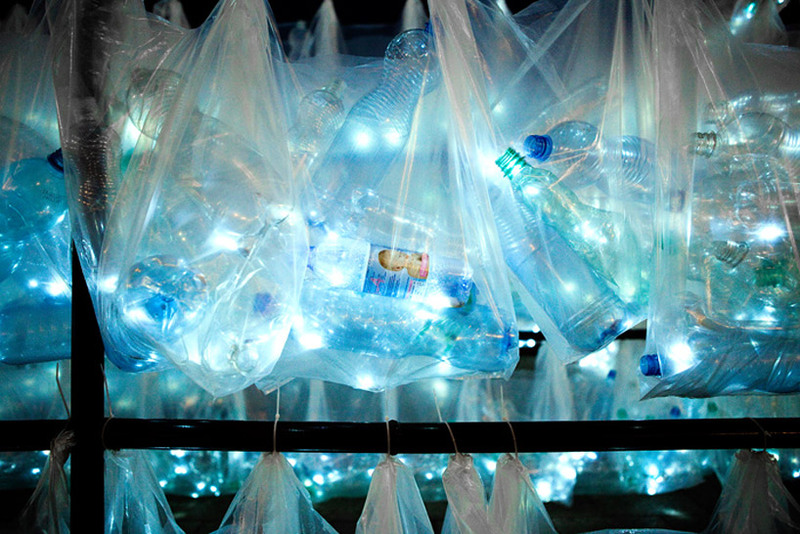 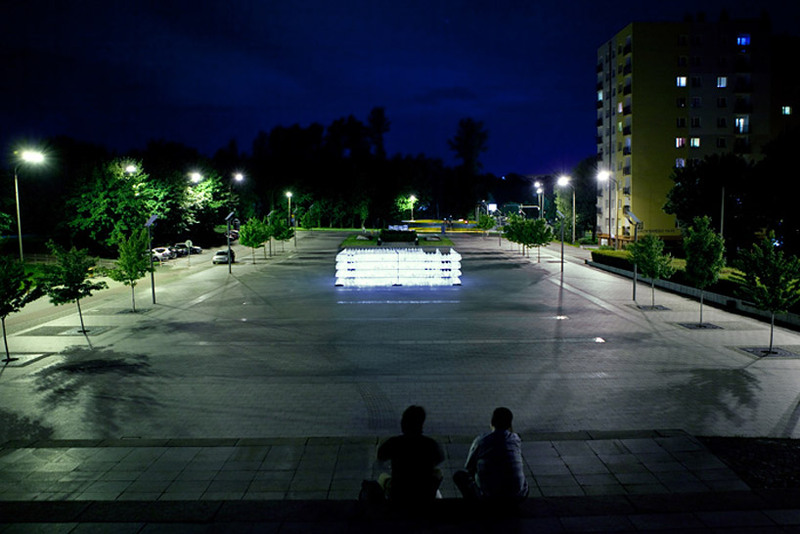 luzinterruptus weaves labyrinth of plastic waste from 6000 illuminated bottles. 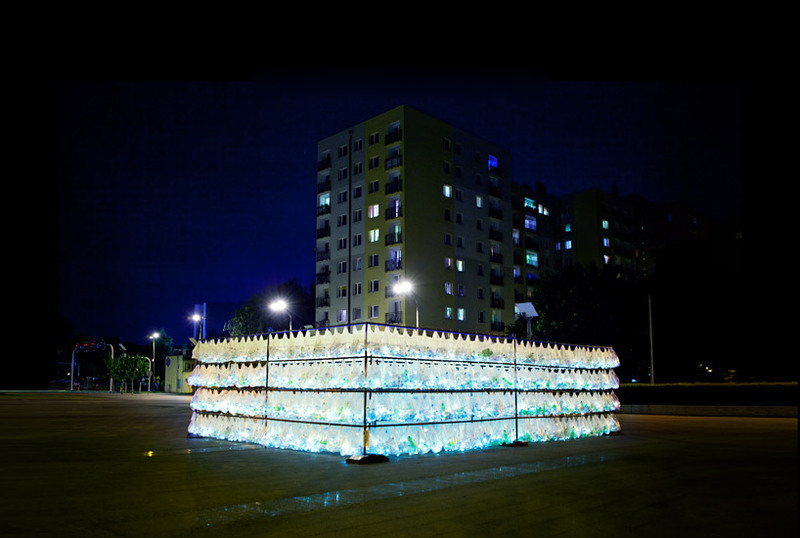 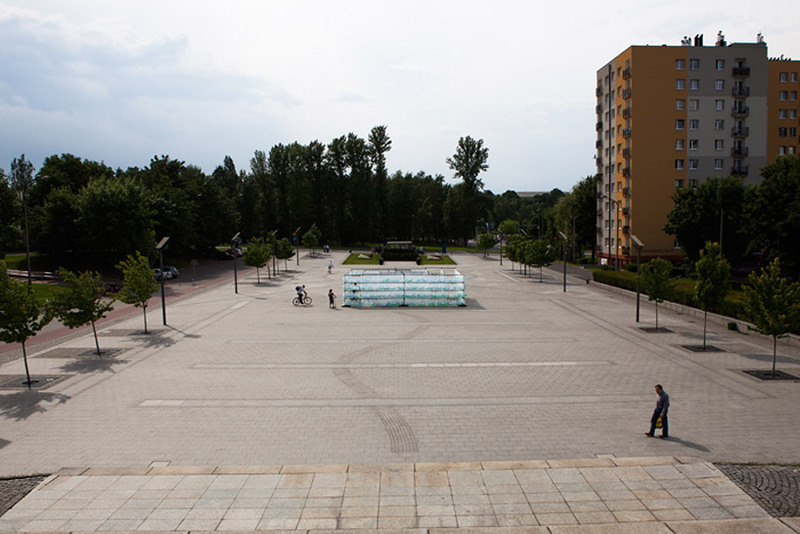 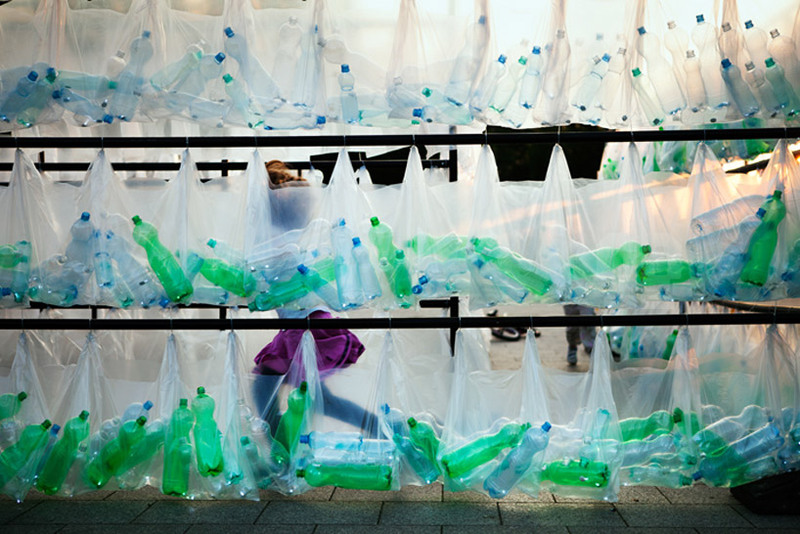 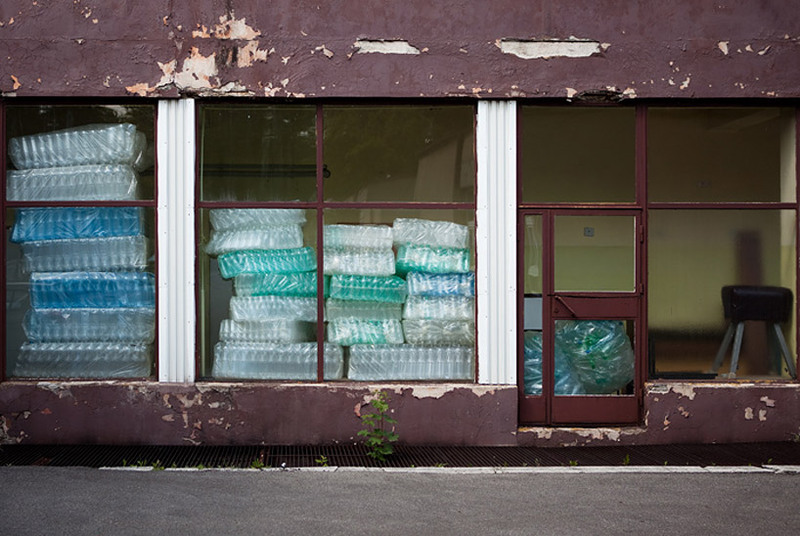 working in their distinctive plastic medium, anonymous art group luzinterruptus has built the ‘labyrinth of plastic waste’ for poland’s katowice street art festival. 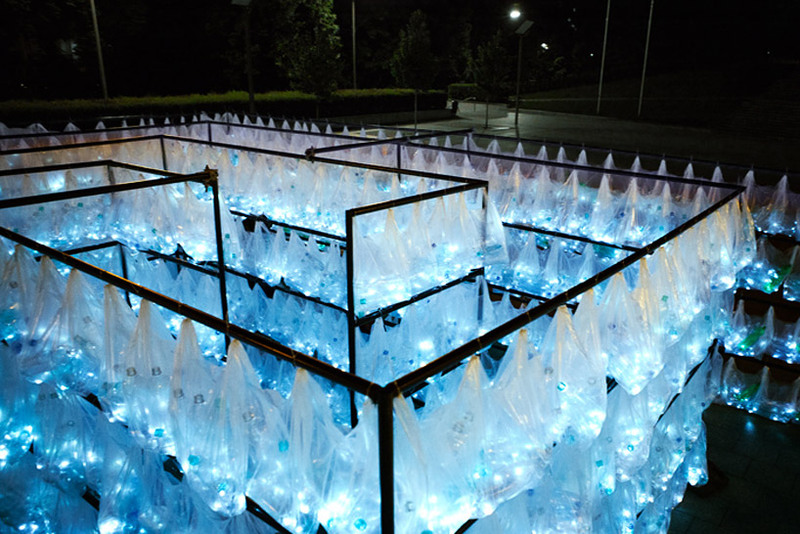 6000 discarded water bottles have been transformed into a 7 by 5 meter maze with weaving corridors and narrow pathways, which visitors can immerse themselves within and experience on a large-scale. 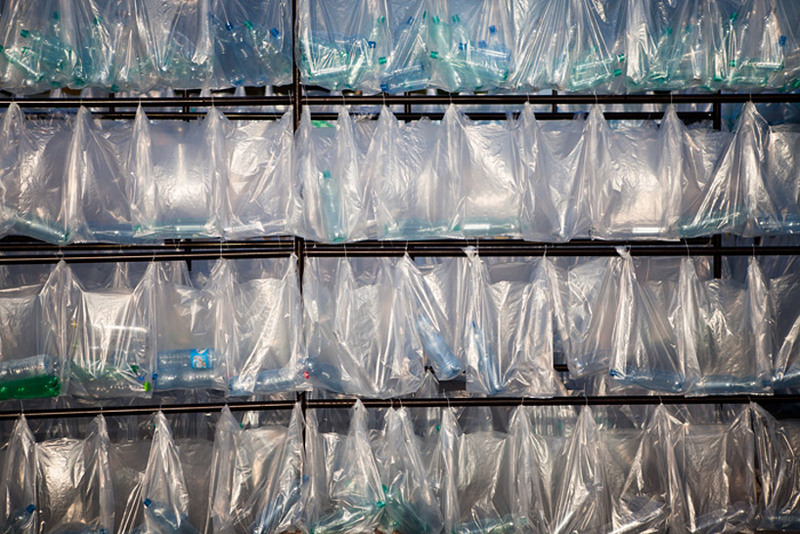 the containers have been collected into transparent garbage bags and hung by their handles throughout the metallic framework, made from modular and reusable elements. 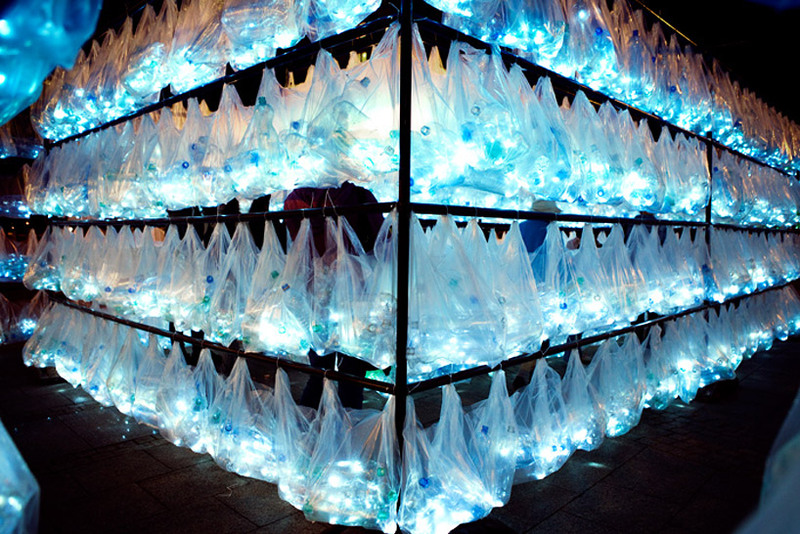 LED lights packed within illuminate the structure by night, casting a neon-blue hue throughout the plaza site. 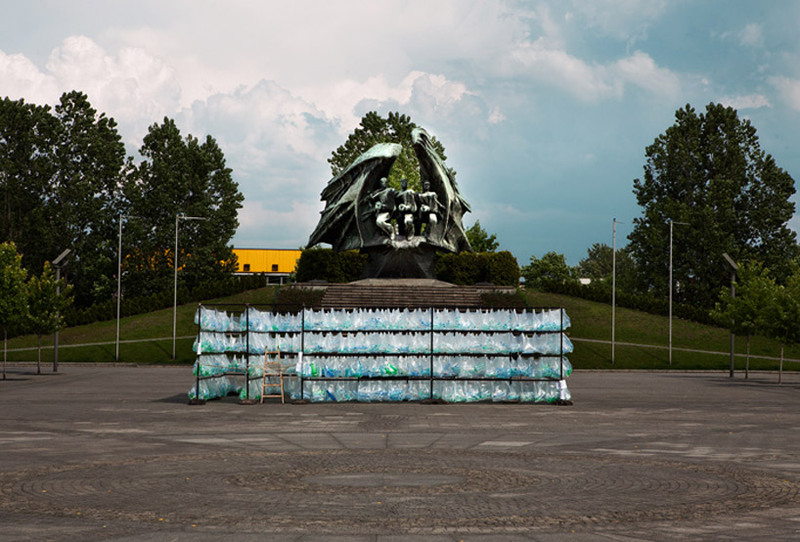 sourced from a local manufacturing and bottling plant (who gave them to the artists because they did not meet the quality standards required to sell them) the arrangement of water jugs demonstrates the amount of plastic waste that is consumed daily. 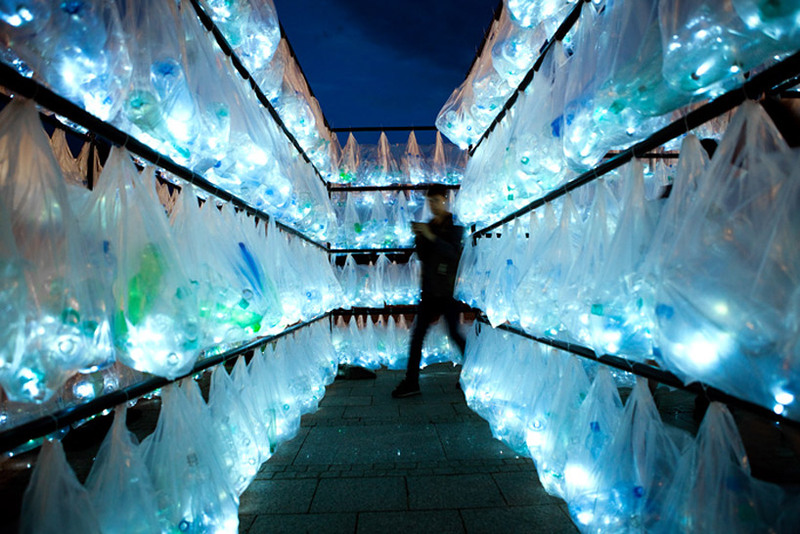 at the project’s finality, all parts of the installation were completely disassembled and recycled.